Frame: 1748 Robert Catlin, strengthened by Whitechapel in 1975. Treble (of 6) 1685 John Hodson Never Founder? Recast in 1748.
c 1450 A small blank bell was supplied to All Saints, Hope church. The founder is unknown but probably a London founder. 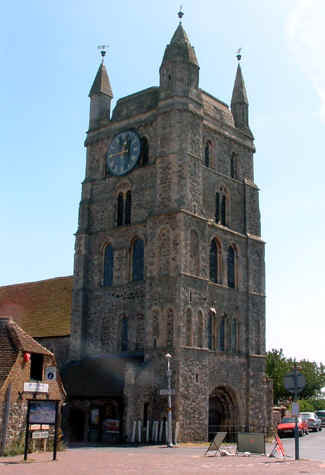 1549 Tradition says that 5 bells from St Martin's, New Romney, weighing 46 cwt, were transfered to St Nicholas. This is not true. 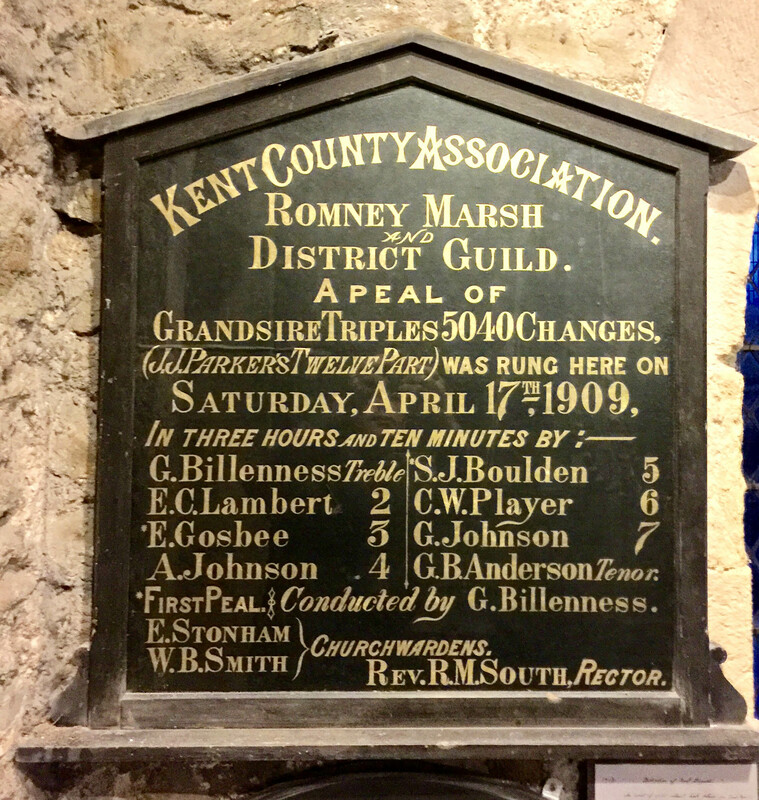 1685 The bells were rehung by John Hodson. 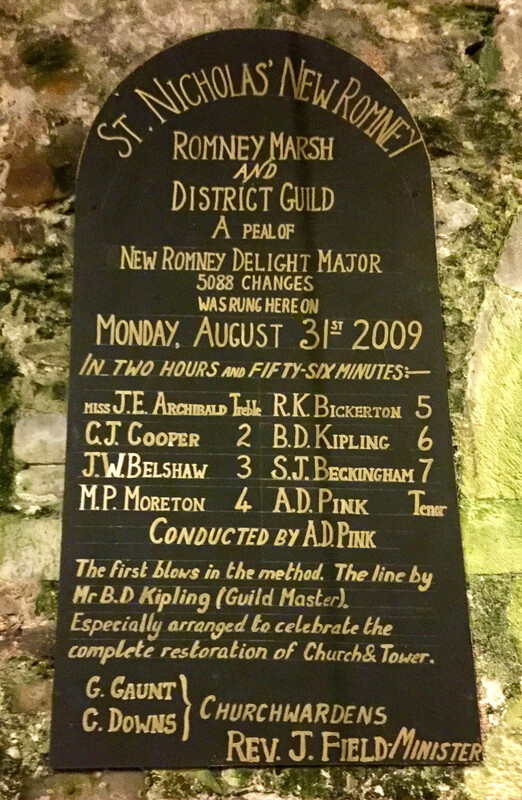 There used to be 5 bells in the tower, although at this time it is known that there were 6. It is possible that Hodson augmented the 5 with the 6th bell in this year. 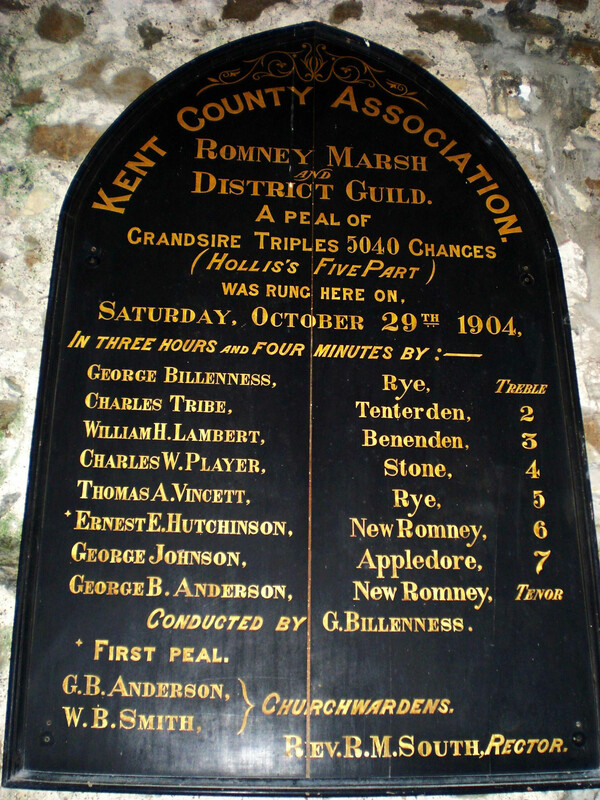 1748 November A new ring of 8 bells was cast by Robert Catlin and hung in a new anticlockwise frame. These bells probably post date those cast for Faversham in the same year by Catlin. 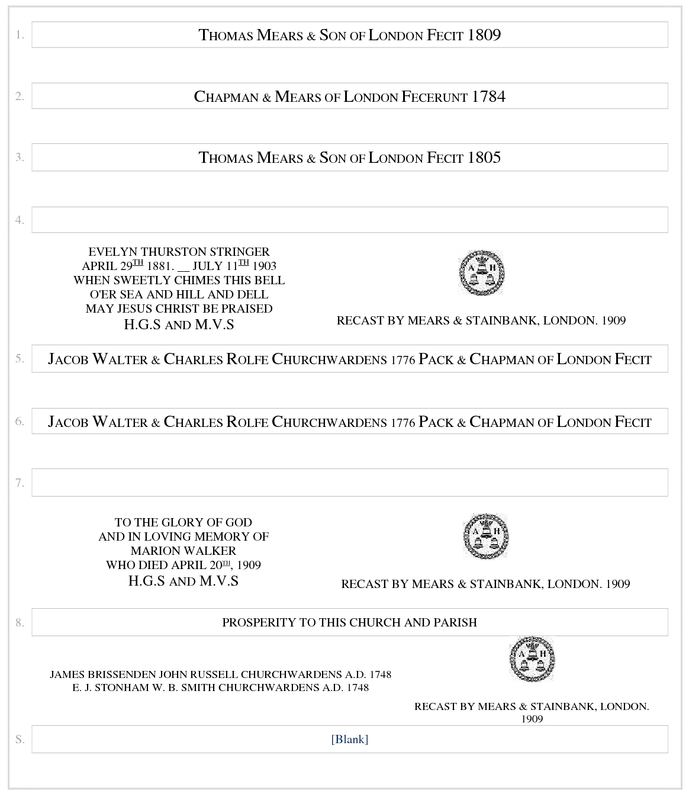 1776 5th and 6th recast by Pack & Chapman. 1784 2nd recast by Chapman & Mears. 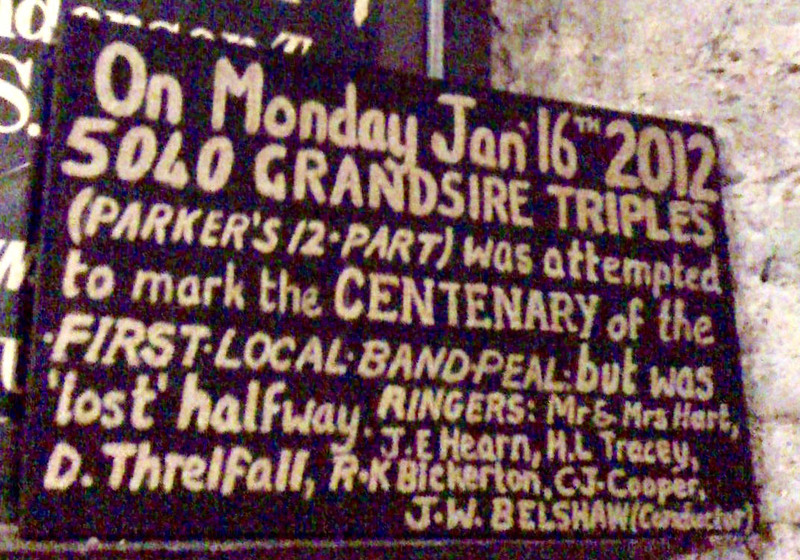 1809 Treble recast by Thomas Mears I. 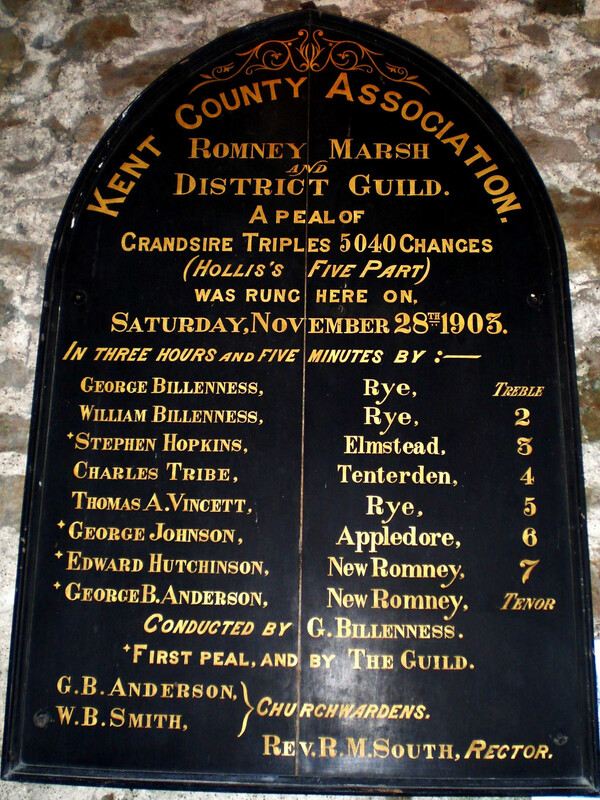 1887 Record of the 8 bells in the tower and an unhung bell in storage from All Saints, Hope. 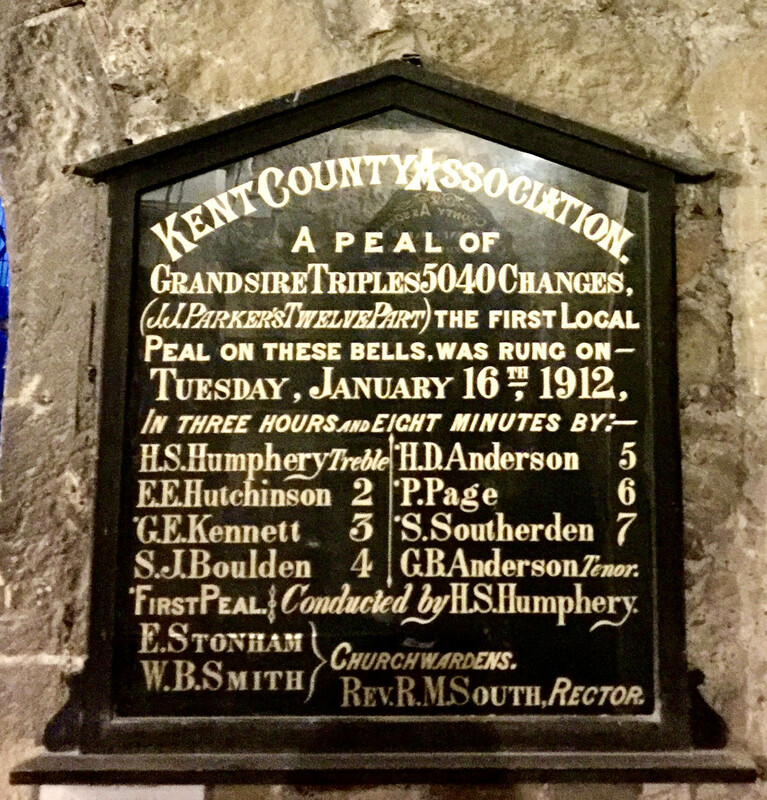 1909 Rehung by Mears & Stainbank. The 4th, 7th and tenor were recast. 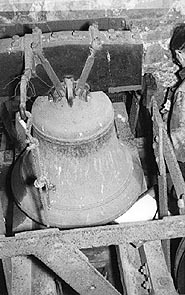 The old bell from All Saints, Hope was hung as a Sanctus bell. 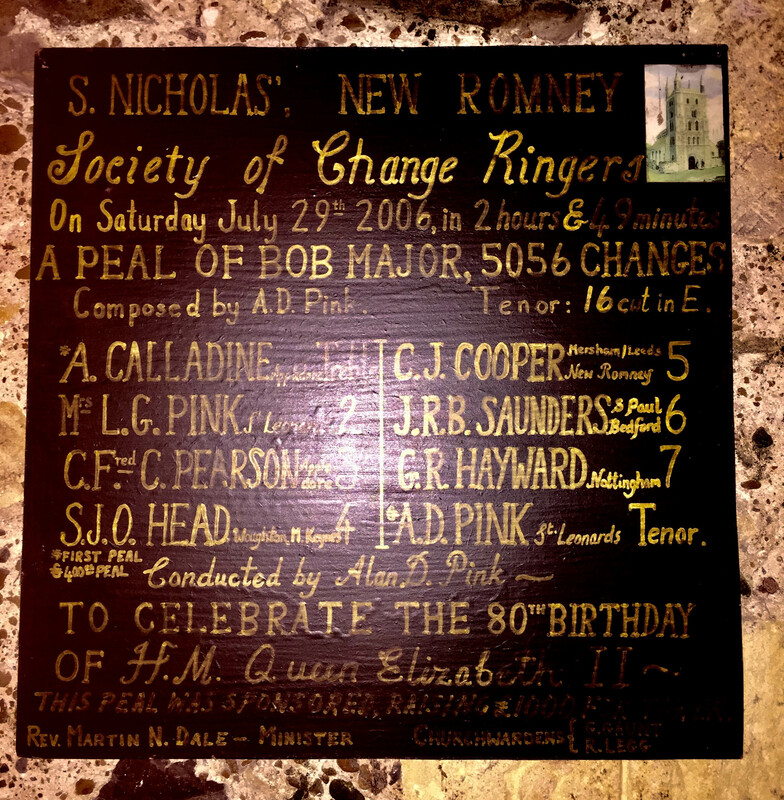 1968 The bell from All Saints, Hope was transferred to New Romney as a Sanctus bell. 1975 Bells retuned and rehung in the Catlin frame by Whitechapel. 1976 Architect gave approval for the bells to be rung. 1994 Easter Bells rung again after a long period of silence.